Really Really Need 3 Points Huh?? Talk about being kicked in the Teeth when you are down, that old cliche certainly applied to our trip to Villa Park last weekend as we again tasted defeat on the road. Seeing the Villa penalty incident in real time was hard to tell if it was correct or not although the general consensus of opinion among the fans around me was that it was harsh on us , having seen it again and again on TV I have to say that is putting it mildly, it was a total farce of a decision and never a penalty in a Million years, several pundits have already shared that view on various programmes so we can count ourselves very unlucky. Then to add insult to injury we are then denied a stonewall spot kick at the other end which given the timing of the incident may well have got us back into the game with a chance of nicking something, unfortunately we again had as inept a Referee as you could wish to hope for in charge and he was having none of it, they say things always go against you when you are struggling and last week backs that theory up. Aside from the shocking Refereeing decisions it also has to be said that over the opening hour of the game we really were not in it and but for some iffy finishing and last ditch defending the half time score could and maybe should have been Three or Four Nil, yes we rallied for the final twenty minutes but is that really enough ? For me it isn't and you will not win many games in the Championship if you don't turn up for the opening Hour. It is really frustrating as once we got our act together and went for it we caused them problems, nothing else changed except our attitude to the task in hand so I would suggest we need to be braver and believe in ourselves a bit more, Villa are no mugs but could so easily have been there for the taking. I do think the introduction of Collin Quaner had a big effect on the game, just as I thought he was as impressive as anyone in the first half at Blackburn the previous week, for me he has to be starting games, having played so little Football he should be as fresh as a daisy and raring to go, we do not have the time to be resting our better players. Looking at our remaining fixtures I have to say that my forecast is that we won't even get to Forty points and that would be certain relegation, of course predicting games means nothing, especially in this division but much depends on how Reading, Bolton and Rotherham perform and I have to say taking a look through all of their runs in's I would not change ours with any of them, I believe we have the better fixtures, on paper at least, and while it is not in our hands it would only take those Two big elusive upsets to go our way and it's game back on again. All we can do is take it one game at a time and do our bit, something we keep failing to do, this week for instance Reading host Villa, Bolton travel to promotion chasing Sheffield Utd while Rotherham are at Millwall who just dumped Everton out of the FA Cup and will be on a high so the chance is there to possibly close the gap, we have to win this game and while I feel it probably is already too late we can't give up the fight as miracles do happen. The last home game against Rotherham really did see a superb atmosphere at Portman Road helped by the ticket promotion and while I do not always agree with the way it is done I have to confess it made for a cracking afternoon, the stadium was rocking and the noise was at times deafening, if we are to pull off the great escape we need this at home another Nine times, win that lot and we would probably survive, just !!! The club was a cricket club when it formed in 1820 as The Wednesday Cricket Club, Lancashire (named after the day of the week when they played their matches). A meeting on the evening of Wednesday 4 September 1867 at the Adelphi Hotel established a footballing side to keep the team together and fit during the winter months. On 1 February 1868, Wednesday played their first competitive football match as they entered the Cromwell Cup. Charles Clegg joined Wednesday in 1867, starting a relationship that would last the rest of his life and eventually lead to him becoming the club's chairman. He also became president and chairman of the Football Association and was known as the "Napoleon of Football". In 1876, they acquired Scot James Lang. Although he was not employed by the club, he was given a job by a member of the Sheffield Wednesday board that had no formal duties. He is now acknowledged as the first professional football player in England. The football club turned professional in 1887 after pressure from players threatening to defect to other clubs. The move to professionalism took the club from Bramall Lane, which had taken a share of the ticket revenue, to the new Olive Grove. In 1889, the club became founder members of the Football Alliance. Despite finishing the following season bottom of the Alliance, they were eventually elected to the expanded Football League in 1892. Due to an expansion of the local railway lines, the club was told that they would have to find a new ground for the 1899–1900 season. After a difficult search, the club finally bought some land in the village of Owlerton, which at the time was several miles outside the Sheffield city boundaries. Construction of a new stadium (now known as Hillsborough Stadium) was completed within months. In the summer of 1912, a Wednesday player, George Robertson, presented the club with an owl mascot. A monkey mascot introduced some years earlier had not brought much luck. The club was almost relegated in the 1927–28 season, but they pulled off a great escape, rising from bottom to 14th. Wednesday went on to win the League title the following season (1928–29), which started a run that saw the team finishing lower than third only once until 1936. The period was topped off with the team winning the FA Cup for the third time in the club's history in 1935. This led to a decade of successfully remaining in the First Division, which included a run to the FA Cup final in 1966. 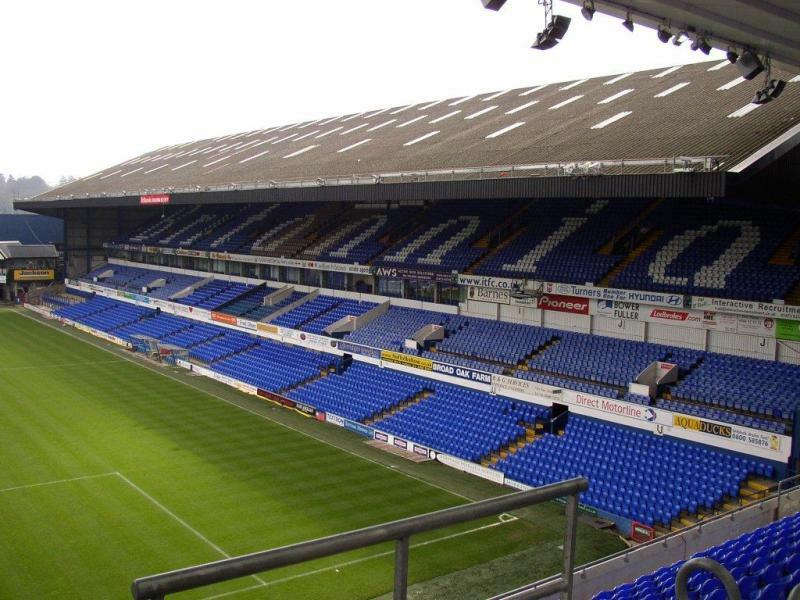 Off the field, the club was embroiled in the British betting scandal of 1964, in which three of their players were accused of match fixing and betting against their own team in an away game at Ipswich Town. The three were subsequently convicted and, on release from prison, banned from football for life. Wednesday were relegated at the end of the 1969–70 season, starting the darkest period in the club's history. After going into free-fall, they dropped to the Third Division for the first time in their history and were marooned there for five seasons. The club was almost relegated to the Fourth Division in 1976, but a revival under the management of Jack Charlton, and the aid of coach Tony Toms and – after Charlton resigned in 1983 – Howard Wilkinson, saw them return to the First Division in 1984. 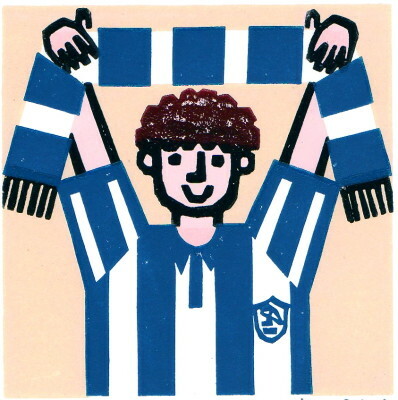 Sheffield Wednesday spent the majority of the 1980s and 1990s in the top tier of English football. On 15 April 1989, the club's stadium was the scene of one of the worst sporting tragedies ever, at the FA Cup semi-final between Liverpool and Nottingham Forest, at which 96 Liverpool fans were fatally crushed in the Leppings Lane end of the stadium. The tragedy resulted in many changes taking places at Hillsborough and all other leading stadiums in England. The 1990–91 season was the only one out of sixteen in a row that Wednesday spent in a lower division, but the season is best remembered by fans for Wednesday's swift return to the top flight and their League Cup victory over Manchester United to win their first major trophy for over 50 years. This League Cup triumph was the last domestic cup to be won by a club competing outside the top level of English football. Wednesday's fortunes took a turn for the worse when a succession of managers failed to maintain this form, and new managers spent small fortunes building squads that were ultimately ineffective, which saw the club's debts get out of control and Wednesday being relegated down to League 1. After narrowly avoiding yet another relegation in 2003–04 and a poor start to the 2004–05 Football League One campaign, Paul Sturrock took over the Manager’s role and they were promoted back to the Championship via the playoffs. Sturrock was sacked after a poor start to the 2006–07 season and replaced by Brian Laws. The 2007–08 season began with Wednesday's worst ever start to a season, as they lost six league games in a row, and they only avoided relegation with a win on the last day of the season. Halfway through Sheffield Wednesday's 2009–10 season, Brian Laws was sacked, and was replaced by Alan Irvine. On the last day of the season, needing a win to stay up, Wednesday drew 2–2 with Crystal Palace and were relegated to League One. Between July and November 2010, Sheffield Wednesday faced a series of winding up orders for unpaid tax and VAT bills. On 29 November 2010, Milan Mandarić agreed to purchase the club. The purchase was completed after an Extraordinary General Meeting of Sheffield Wednesday's shareholders on 14 December 2010, during which 99.7% of shareholders voted to sell the company to Milan Mandarić's UK Football Investments for £1, as well as settling the club’s outstanding debts. Gary Megson replaced Irvine as the club's manager in February 2011 and the Owls went on to finish 15th in League One. The following season, the Owls pushed on for promotion out of League One. But, after falling behind Charlton and Sheffield United at the top of the table, Megson was sacked and replaced by Dave Jones. Jones went on to guide the Owls to promotion to the Championship on the final day with a 2–0 home victory over Wycombe. Following this season, the Owls struggled in the Championship. However, with a better run of form after Christmas, the club secured Championship safety on the final day of the season, beating Middlesbrough 2–0. In the 2013/2014 season, Wednesday finished in 16th place with 53 points, ending the season under Stuart Gray’s management following Jones’ departure. Chansiri stated his intention to win promotion back to the club for the 2017–18 season – the football club's 150th anniversary – and came close to achieving that goal a year head of schedule, with new coach Carlos Carvalhal leading the club into the end of season play-offs at the end of the 2015–16 season, but Wednesday were beaten in the final by Hull City at Wembley. In the 2016/17 Sheffield Wednesday performed well again finishing in fourth spot but were beaten in the semi’s by Huddersfield on penalties. In January 2018, Jos Luhukay was appointed as the manager taking over the role from Carlos Carvalhal. 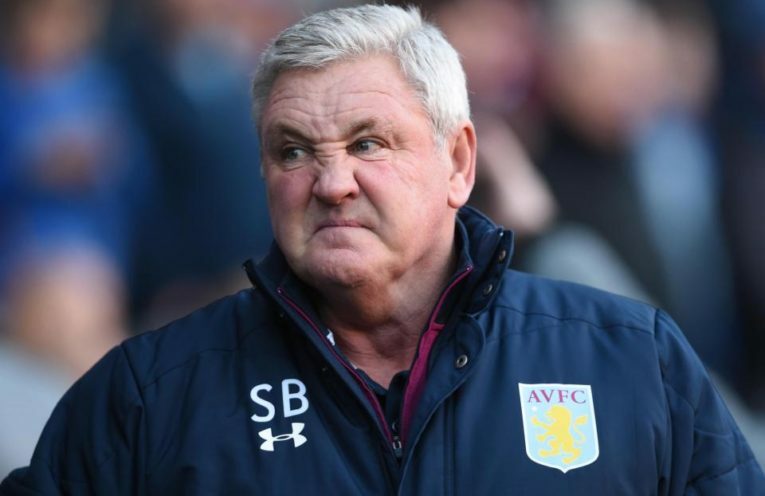 In January 2019 Steve Bruce replaced Luhukay as Manager after his sacking from Aston Villa. Last season Wednesday’s finished in 15th place with 57 points. In the space of three weeks, 10 point gap reduced to zero. Ando showing clear intentions of winning the trophy again. Quite a convincing 5 points this week. I know it’s halfway into the season and The Don Cup is well underway, but due to that Big scoring gap being reduced so quickly, I feel I must reiterate the scoring system. There are 9 judges on this. Myself, and 8 others. All I do is ask the judges that they forward on their top 4 in order by a Tuesday night. Not all manage it every week due to their commitments but there is never under average of 7 votes. Basically it’s sorted into 5,4,3 & 2 points after that. That’s why there are draws for particular scores. And this is how sad TWO of the judges lives are......... the ITFC previews are the highlights of their week! They must have lonely summers! You know who I’m talking about ya couple o’ bawsacs! Still cant see a win fro. Anywhere but it has to happen soon right? So a sneaky 7-0 to town!!
" can you see the game better if i hold you up wilson"
Are the supporters having a belly laugh? You would hope at some point Town will have a convincing win with at least a two goal margin. Could this game be it? 3-1 town. Caption " that's the only way he will ever see any balls in his hands"
CAPTION..... " Marko gets to keep the match ball for his hat-trick of bellies"
Caption: Here, you can have this one back, I can't eat another. "Town left it until the last day of the transfer window, but they finally filled the troublesome right back position"
Caption - bluey forgets his match day kit but doesn’t want to disappoint the kids, so runs out anyway. Caption - buster blood vessel fulfills a lifelong ambition to sign for Ipswich on transfer deadline day. Paul lambert hopes his “lip up fatty” will give town something special in attack. CAPTION.... " This particular Wednesday fan thought being an Owl stood for Over Weight Lardarse"
Caption 1: Here we have the Sheffield version of Lady Liberty. Caption 2: After sporting Wednesday fan on TV the CaeO of Greggs gives all Sheffield employers a well earned sales bonus. Last edited by AylesburyBlue on Thu Jan 31, 2019 10:41 am, edited 1 time in total. Just this minute managed to get a look at last nights results. Bournemouth v Chelsea? WHAT? Got to be a win in this game. Reckon it'll be a draw but Ipswich need the 3pts, @ PR v this opposition. Paul needs to have them well and truly fired up for this one so that confidence can be gained massively for next week. Thinks: "sh*t, I better award a penalty soon. Next challenge in the box is a pen." Reporter: Steve, Lambert believes Ipswich can avoid relegation. You have thoughts on this? SB: Is that Shyte I smell, Clive? Caption comp: One in the right hand and two in the left....oh and a spare in the middle! 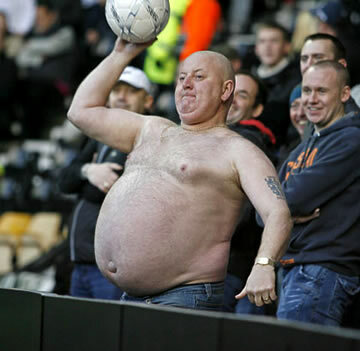 ITFC 1 v 1 Sheffield Wed.
Caption: "My belly button can squeeze out footballs all day long...Uh oh, here comes another one!" 1-0 win for Town surely we must win this. Caption. 1. Jonas I've not been playing so that's why i have put on a bit of weight. 2 looks like our new Right back has a long throw so no need for Jonas. Last edited by Ando on Sat Feb 02, 2019 12:04 am, edited 1 time in total. Bree to right back Pennington at centre back Chambers dropped get in. Clean sheet he we come. I think Elder will drop out of the match 18 to accommodate the 5 loans permitted Chalobah,Pennington,Bree,Quaner and Keane. I don't see Pennington playing tomorrow unless of course Bree is on the bench. As Lambert has stated this loan situation us an enforced attempt at a quick fix and certainly not the way he intends to go in the future. Wednesday trying the loanee quick fix too with Steve Bruce making three new signings yesterday all who could make debuts against us tomorrow including Dominic Llorfa who would no doubt recognise more Town players than Owls. Go out on a limb and say we'll take it by four goals to three. Of course it's unlikely to occur but given the severity of the situation why not inject something outlandish into it and see what occurs. Victory is paramount, away from Hillsborough they appear somewhat vulnerable. Hope other scores in the vicinity go our way, we're not out this league just yet. Great informative preview once Again,thanks to all concerned in doing it. This one is a draw for me but as I am crap at the prediction league we will no doubt win. Caption- Both our keepers have not been performing to the top of their ability so we have been lucky to sign keeperJohn Joe from Waterford. Rated very highly as a top class stopper by Mick McCarthy. Will add something solid to our defence. Straight in to starting 11 tomorrow said Paul Lambert earlier today.